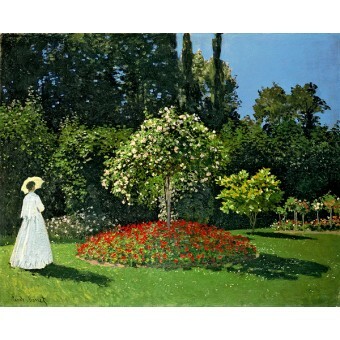 This high-resolution and high-fidelity reproduction on linen canvas of the "Woman in the Garden. 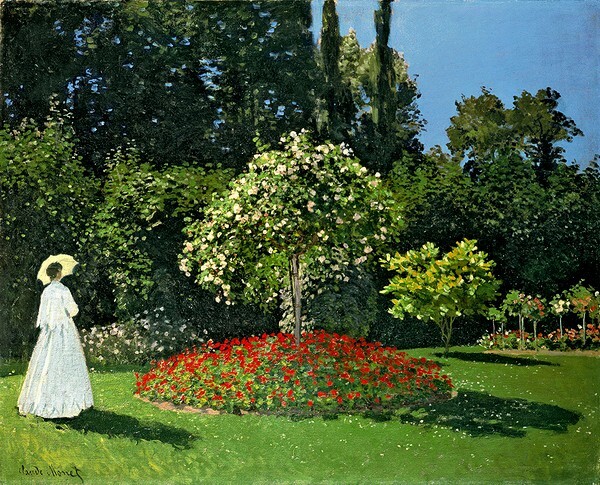 Sainte-Adresse" by Claude Monet from the Hermitage collection has been produced directly from a digital scan of the Hermitage masterpiece using state-of-the-art technology. The quality is so high that each brush stroke seems tangible. The size of the original is 32 1/4 x 40 in (82 x 101 cm).